On the 18th of February 2018, thousands of people will descend on the West End of London to celebrate the Chinese New Year. To honour the Chinese year of the dog, there will be plenty going on including colourful parades, music and dance performances and of course, fantastic food from the far east. It is a particularly busy time for London’s Chinatown District, which provides fun activities and a variety of food. In Leicester Square, you will find entertainment for all ages, while Trafalgar Square is the home of main stage performances. This year, there will even be more stages, on Shaftesbury Avenue and Charing Cross Road. These huge celebrations inevitably produce large volumes of waste that has to be managed throughout the event and cleaned up afterwards. This is where Westminster City Council Commercial Waste Services helps the festival organisers with our event clean up services. With thousands of people turning out to celebrate Chinese New Year in London there’s no surprise that the event manages to generate over 20 tonnes of waste and recycling in street cleaning alone. This rubbish, however, must all be managed throughout the event and the streets must return to normal by the following day. To achieve this, the London Chinatown Chinese Association (LCCA) partnered with us to provide event clean up services. The Commercial Waste Service controls the waste and recycling during the event, deploys extra bins in the main areas and our waste operators will be litter picking throughout the day. When the festivities come to an end, our staff and their fleet of collection vehicles will be on hand to clean the littered streets. As well as clearing up after the biggest Chinese New Year event outside of Asia, we have also worked closely with the Chinatown businesses community for many years, providing high-quality waste and recycling services. When it comes to providing commercial waste services in Chinatown, no other operator can compete with our sustainability credentials. As we are a local authority, we are legally obliged to collect waste on every street of Westminster. Therefore we collect waste in Chinatown every day of the year. So by using our services rather than some else’s, you are reducing the number of additional waste vehicles driving in and out of Westminster and thus reducing the number of harmful emissions being produced. In addition to this, our materials recovery facility and energy recovery facility are all located close to Westminster, minimising waste miles even further. You can learn more about sustainable waste management in our sustainability guide. Geographically, Chinatown is bound by Shaftesbury Avenue to the north, Rupert Street to the west, Charing Cross Road to the east and Leicester Square to the south. The main focal point is Gerrard Street, which runs through its centre. 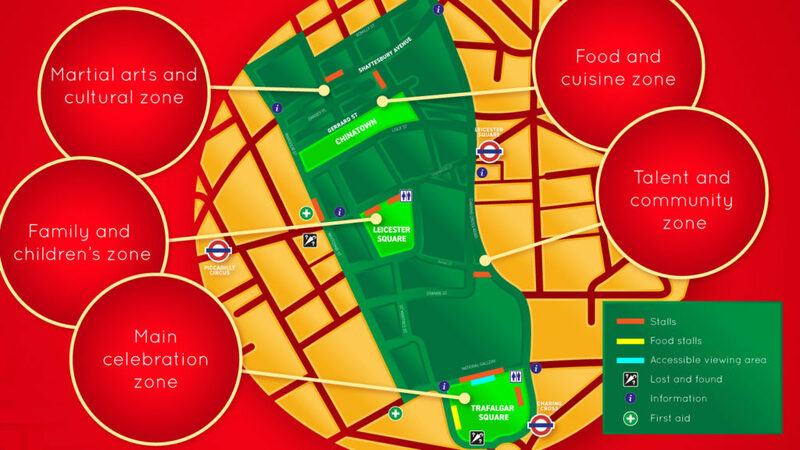 The map below will show you Chinatown and its surrounding area in more detail. Are you looking for regular and reliable waste collections in Chinatown? The best way to get started with high-quality, sustainable waste collections in Chinatown is to book a waste audit with one of our experts. A waste audit is an excellent opportunity for one of our waste and recycling experts to come to your premises, at a time that suits you and suggest some good practice and services that you could implement to improve your business’ sustainability credentials.